Rated 5 out of 5 by gamefan10 from Very absorbing game This excellent game kept my attention for long periods of time. I would be playing it and look up to find that a couple of hours had gone by. The game has a great story, great characters, and enough interesting things to do to keep you very busy. It has a diary to remind you of important information, and also a Hint button that recharges at a speed you select. You will need to do a little traveling back and forth within each "chapter", but it's not that far. The artwork is wonderful and contributes a lot to the story. I loved the game and highly recommend it. Rated 5 out of 5 by kaytree83 from Nice story, family friendly. I am absolutely loving this game! Game play is surprisingly longer than I expected it to be, and the story line is quite intriguing. I was looking for a game to play that was a little lighter and not gory or dark. This game fits that bill perfectly. I played the classic version, not collector's edition. Rated 5 out of 5 by denniann2 from following the story in the book a friend has asked you to come look at a book he has that, he think, is a little strange. it takes place in a world where a rabbit talks. the point is to reassemble an enchanted crown to save the world. it is in 3 pieces and you need to find all of them. torelion is the place you are trying to save from the evil one. whoever possesses the entire crown will rule torelion and ultimately he wants to destroy it. that would mean all the critters that can talk. there is a custom level. also a map and diary. most of the mini games were too hard for me. a few i got through but not many. the queen is really upset because she is afraid the evil one will kill her son whom he has got chained up and threatened her with. good graphics and the HO scenes are fragmented ones. some are straight HO scenes as well. Rated 5 out of 5 by auntyrob from Very Enjoyable I really enjoyed this game, with beautiful graphics, great mini games and a good story, I liked the Royal Rabbit too! **spoiler** My only eeep moment was giving the mole to the snake as a friend! !...not natural buddies!! Rated 5 out of 5 by andibeard from Fun HO/Adventure Game This game was just the right balance of HO, puzzles, and adventure. It has a lot of options (difficulty levels, the choice of a game versus HO scenes, etc.) as well as a variety of HO scene and mini-game types. Some of the minigames were simple and others were more challenging. The storyline was not particularly original but the game was well-designed to follow the story logically. The artwork is lovely and the rabbit character is charming. I did skip a few games rather than play them more than once, but overall I found the game compelling. Unlike a lot of the darker games, this one is also older-kid friendly (though possibly a little complex for younger children). I wish now that I had bought the CE version so I could play more! I hope there will be more in this series. Rated 5 out of 5 by tutortime from Excellent game. I loved many things about this game: Story line, mini games not your usual garden variety, beautiful graphics in bright primary colors made moving through each scene a pleasure, you can adjust your setting for hints and skip buttons. ( More and more games are doing this and I love it. When I want to skip, I don't want to wait ! ) It's relaxing and enjoyable. Rated 5 out of 5 by carb7250 from Loved It Another game with great graphics. Also, as a book lover I gave this extra kudos because it was fun going into some of the classics. Rated 5 out of 5 by keatyp from Thank you! So tired of some of the HOGs that have been coming out, all creepy and scary, somewhat disturbing. This harkens to some of the Dark Parables and Margraves games, clever, a bit of danger but nothing disgusting. Fun, minigames are a bit different and don't require a PhD in quantum mechanics. Really enjoyed it! Rated 5 out of 5 by biscuitsmama from Can You Restore the Enchanted Kingdom? 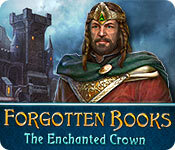 Forgotten Books the Enchanted Crown is a wonderful story about an enchanted land where good versus evil, a theme that we see all too often in HOPA games but in this game it is well done. You play the game as a reporter who receives a call from an old friend telling you about an old book that he found that is about a place called Torelian and the enchanted crown that powers its world. The book begins when the crown goes missing but the strange thing is that although the book is ancient it appears to be unfinished. Interested in seeing for yourself you take the book and flip through its pages but as you get to the end a fresh page appears and someone is asking for your help. Will you accept? As you write your answer on the book’s page, you are whisked away to a magical and enchanted land that seems similar to the one that “Alice” must have fallen into. The graphics are excellent as is to be expected from ERS but the artists have used that misty appearance a bit too much in some scenes. The game has voiceovers and it looks like ERS has completely reverted to the days of non-lip-synced characters. Maybe they have decided that with so many people complaining about their games, it isn’t worth it to go the extra mile. The music is pretty much the standard ERS signature but I tend to enjoy it. One of the interesting things about this game, and of course it goes with the storyline of an unfinished book, is that a magic pencil appears and changes some scenes as you approach, which I think is very clever and well done. We find the standard set of tools, a diary that notes your progress through the game as well as an interactive map that shows where we have objectives to complete. There are no animal helpers or fuzzy companions in the game but as soon as we enter the book we do meet up with Liev, the king’s faithful servant, who pops in once in a while to act as our guide during the adventure. 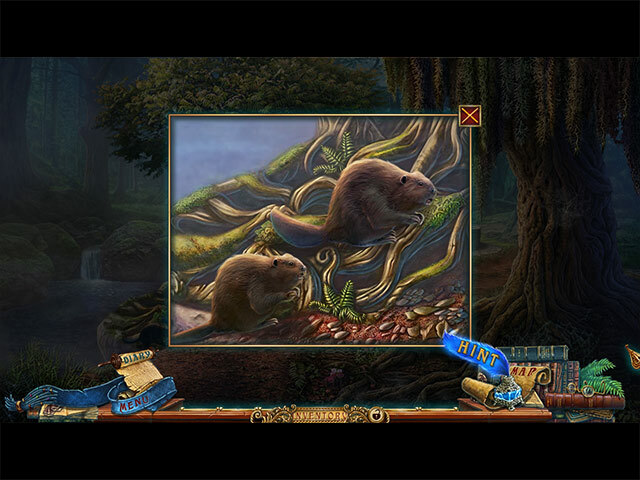 There are the various types of interactive HOPs which, BTW, ERS was the first to introduce in HOPA games. In this game we have the standard interactive list type, as well as ones where we find so many of a specific item, silhouette type, and then the progressive silhouette where we need to think about what to do next. 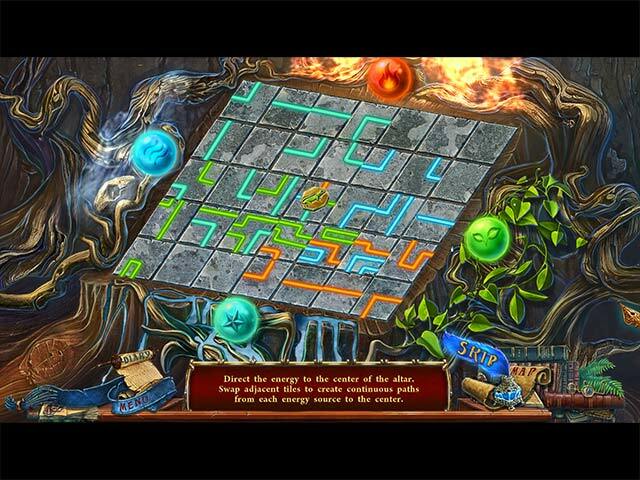 The puzzles are nothing new, at least in the demo of the game, but usually the puzzles do become a bit more difficult as the game progresses. Even though the puzzles in the demo were easy I did find them to be quite entertaining. I have to say that when I originally attempted to play the beta test for the game I might have had an off day because I didn’t like the game and thought it would not be a very good game. However, upon replaying it a second time I found that I really enjoyed the game and then went ahead and purchased the CE. One thing that hooked me with Forgotten Books the Enchanted Crown was that I couldn’t wait to finish “writing” the book and restore the kingdom of Torelion. I think this is one of the best ERS games to come along in a while and, for me at least, it is a signal that my favorite game developer is back on track. 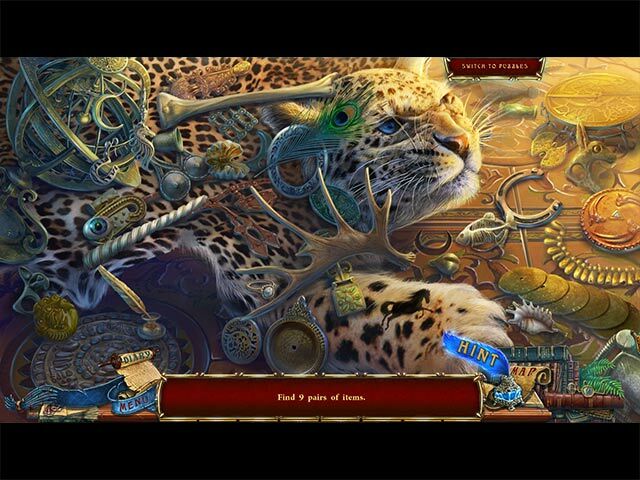 Of course there are a few, who always have something negative to say about not only ERS games but HOPA games in general, and they are entitled to express their opinions as well, but something about the game caught my fancy and I found it to be very good and entertaining. As always, I recommend that you at least try the demo to see if this is a game you will like.